The annual San Diego Comic-Con is happening next week, so the entire world is setting itself up for the inevitable and large dose of popculture related news and fandom! 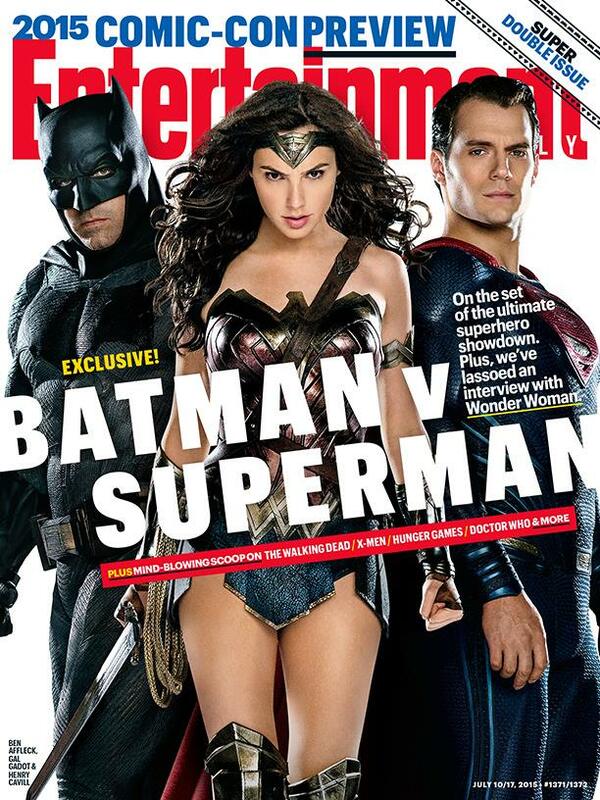 Honoring that fact and to give fans a taste of things to come, Warner Bros. and Entertainment Weekly have released via EW’s Facebook page some new pictures for next year’s much anticipated DC Cinematic Universe film in Batman v Superman: Dawn of Justice, with the cover to EW’s 2015 Comic-Con Preview issue spotlighting the “Big Three” of DC Comics in Batman, Superman, and Wonder Woman… As played by Ben Affleck, Henry Cavill, and Gal Gadot respectively! 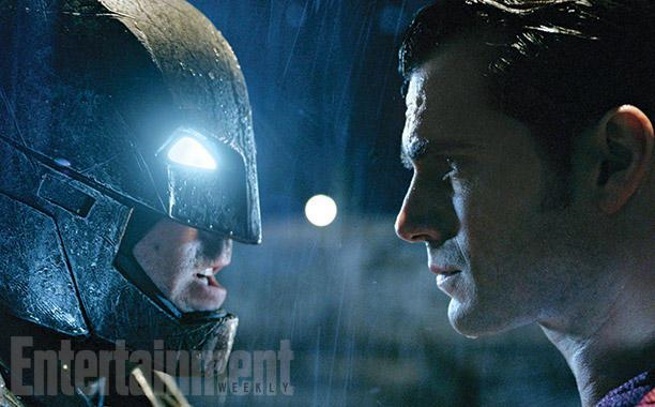 In what will certainly get fans more excited for what Warner Bros. has in store during SDCC, new pics from the much anticipated “Superhero Brawl of the Century” flick for 2016 sees Bats and Supes coming face to face, with a very pissed off Dark Knight all armored up to take on the Man of Steel and show him who’s boss. 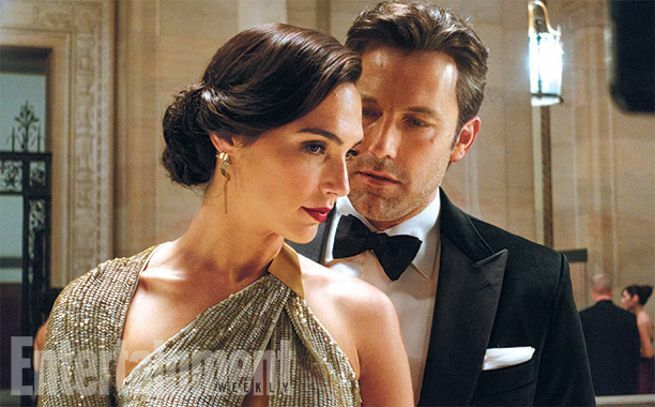 Another picture from the EW issue show some tender moments, including Ben Affleck’s Bruce Wayne meeting the very beautiful Gal Gadot as Wonder Woman – in her “civilian identity” of Diana of Themyscira. 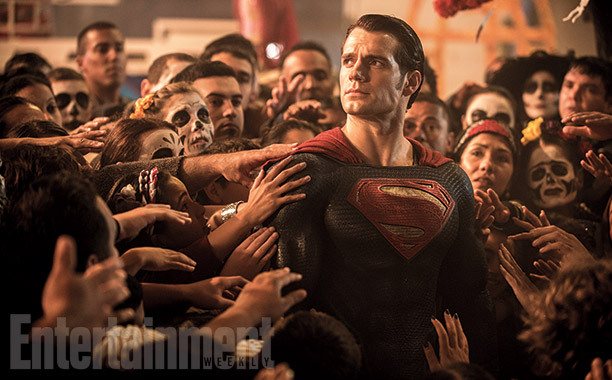 As seen in the first trailer of the film, Henry Cavill’s Superman is surrounded by civilians who want to touch him (In a very “Cosplay is not Consent” type situation). And of course to get Kal-El/ Clark Kent’s attention, Batman shines a Bat Signal and is all battle ready with his armor to take on Superman. 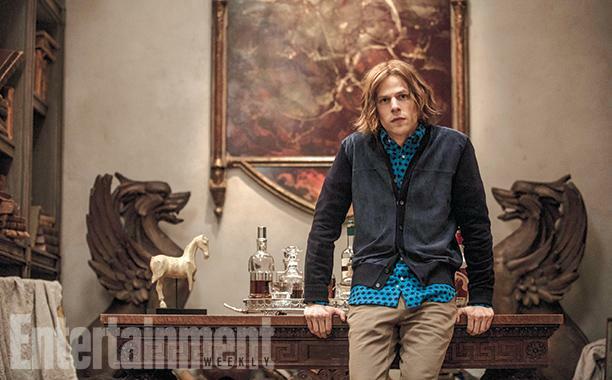 And here’s Jesse Eisenberg as Lex Luthor, sporting long hair that’s either a wig or before he goes bald sometime during the movie. 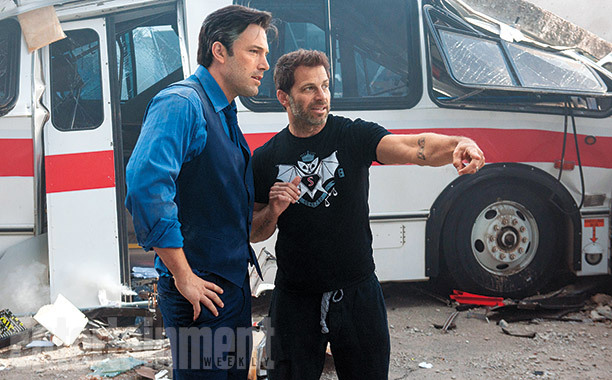 Finally, here’s one more picture from EW that sees director Zack Snyder on the set of the film, guiding Ben Affleck as Bruce Wayne. More likely there’s a ton of stuff coming out this SDCC, so we just have to wait and see what turns up during the Warner Bros. panel. In the meantime, let’s recap things with the first trailer in case you haven’t seen it yet. 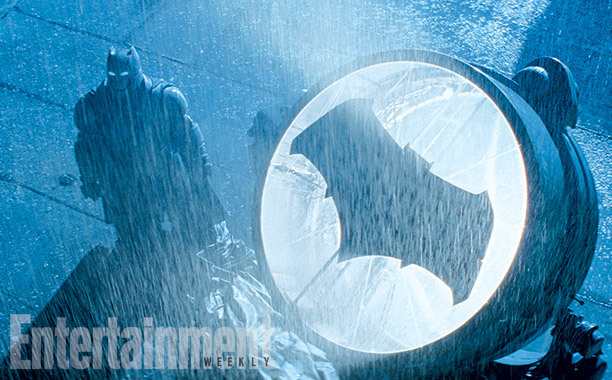 Batman v Superman: Dawn of Justice hits theaters next year on March 25, 2016.